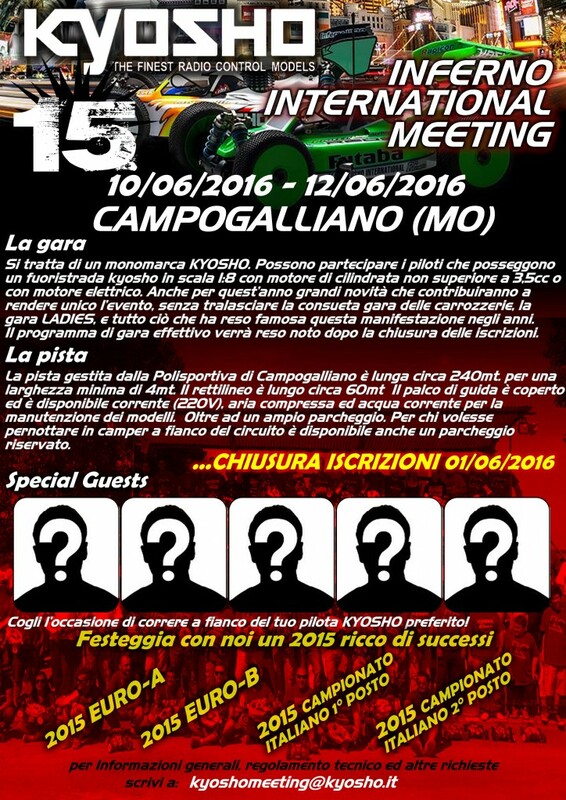 ﻿ Kyosho Inferno International Meeting 2016 Iscrizioni aperte!!! | Fabrizio Teghesi driver 1:8 buggy con Kyosho, Energy fuel, Hotrace tyres, FTTech, Efra tools, Hudy, Max Airbrush, Dreamsticker, Rideandrollkrew..
Kyosho Inferno International Meeting 2016 Iscrizioni aperte!! !